Insert a magnet into your post cards for extra impact in your direct mail (or bulk mail) marketing. Your 3.5x2 business card-sized magnet (25 mil.) is glued in the inside of the folded post card, giving you the most convenient way to get your magnet and message into your customer''s hands. Postcard is 8.5 x 5.75 folded to 4.25 x 5.75. Note, the postcard is non-laminated. Studies show postcards with magnets attached are much more widely read than ordinary direct mailers. 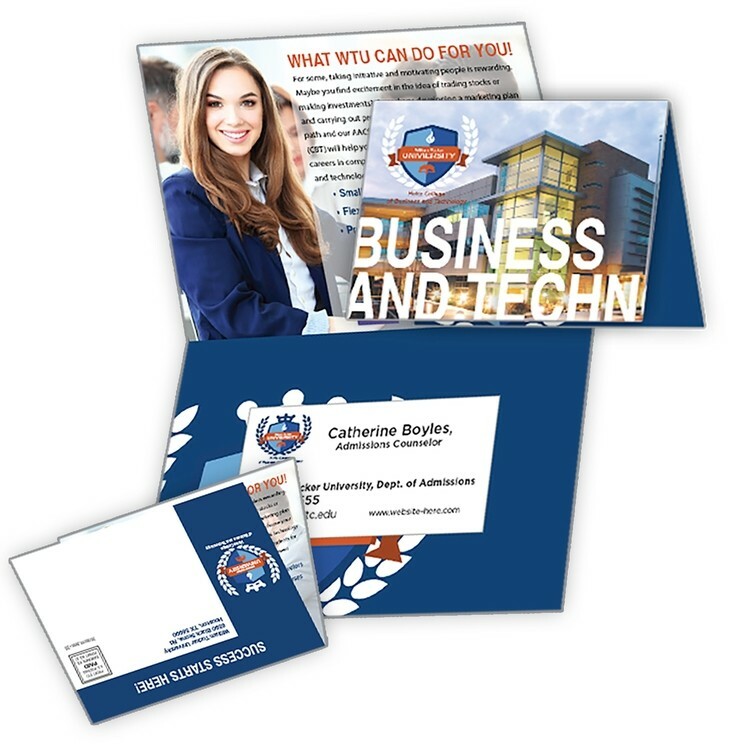 Price includes printing in full-color (four color process) on both sides of postcard and front of magnet, addressing, adhering of magnet to postcard. Metallic or fluorescent colors cannot be printed in full-color. We offer the processing of one mail ready* address list at no extra charge. Additional lists will incur added processing fees. Postage is extra.